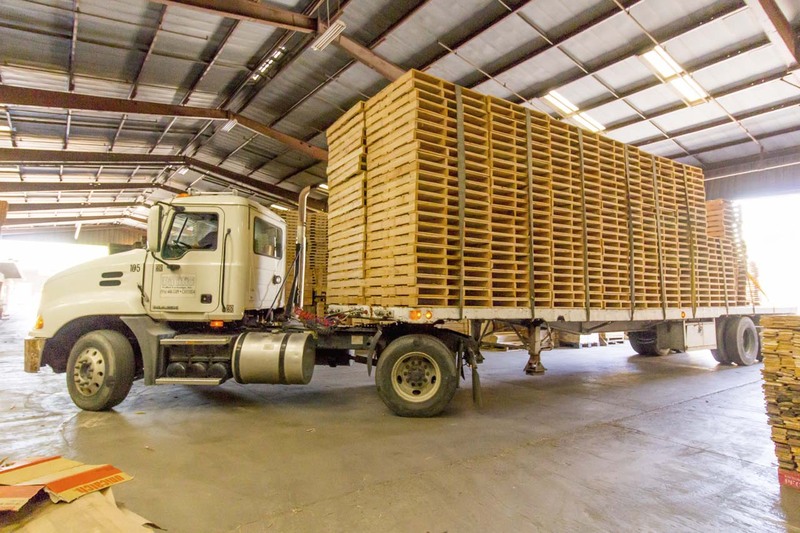 Services – Pacific Pallet Exchange Inc.
At Pacific Pallet Exchange, Inc., we heat treat pallets, crates and skids on site. The pallets are then hand stamped with our certification number. The ISPM-15 treaty documentation is computer generated at our heat treating component, and inspected monthly by outside inspectors, as required. 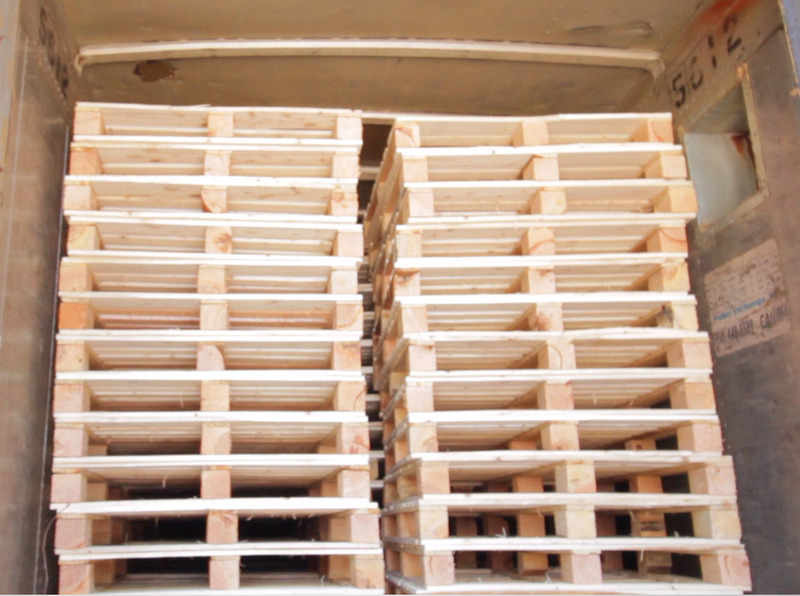 Copies of our certification are available to heat treated pallet customers upon request. We deliver and pick up within a 100 mile radius of our plant. We own our own equipment and hire only Class A licensed drivers with plenty of experience. Our facility is inspected biannually by the California Highway patrol, as required by law. Deliveries are made on either flatbed trailers or 53' vans depending on customer need. Longer distances and interstate deliveries can be arranged with advance notice. 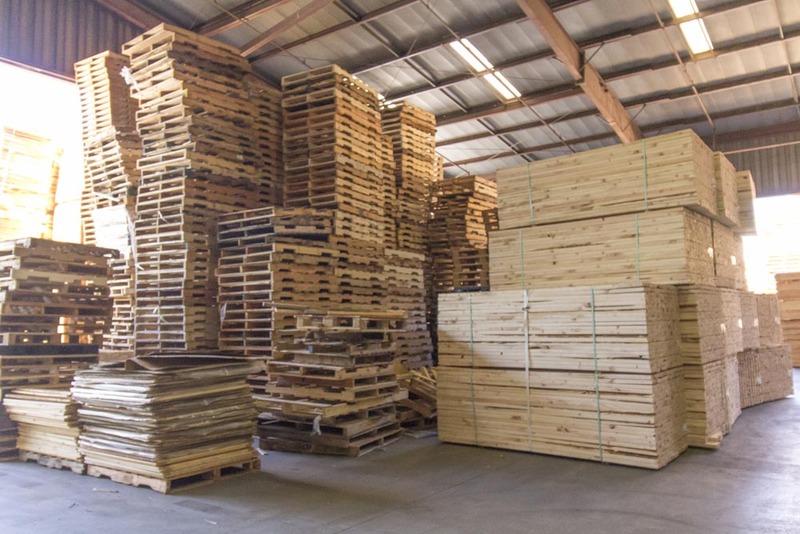 Pacific Pallet Exchange will pick up your broken pallets of any size, including plastic pallets. We can also haul away your baled cardboard. We can also assist you with your large quantities of loose cardboard. Please call for more information about pricing and services.